I’m slowly working my way through the last few side objectives in Arkham Knight. I didn’t get a whole lot of time with the game in, but since last week, I disarmed most of the bombs around Gotham, rescued all the remaining Firefighters, and completed a ton of Riddler challenges. 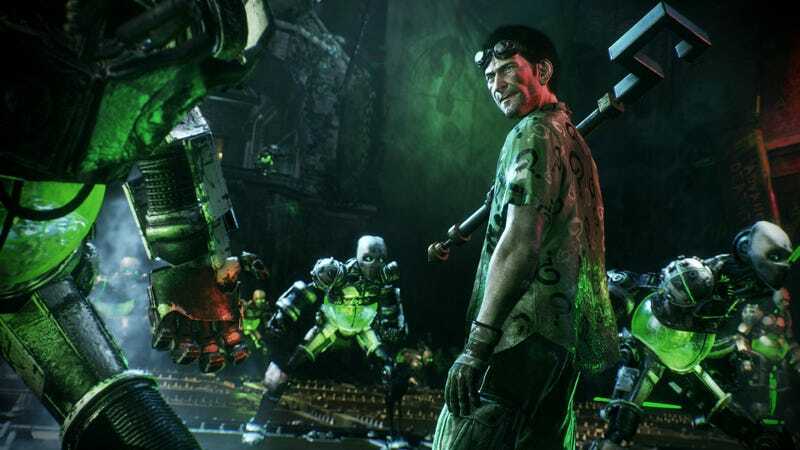 All I have left to do in the game is disarm two more bombs, complete the remaining 133 out of 243 Riddler challenges, fight Riddler, then activate Knightfall. I can taste the end now. Hopefully I will soon be done. That’s really all there is to say on the matter.